With many hundreds of million pet owners globally, it is clear that the “pet economy” can be seen as a very big and potentially lucrative market for young companies. Just think about how much time and money you or your pet loving friends spend on their dogs/cats. It starts with high quality pet food, toys, insurance, health care and other services, and sometimes ends with a dedicated pet funeral. 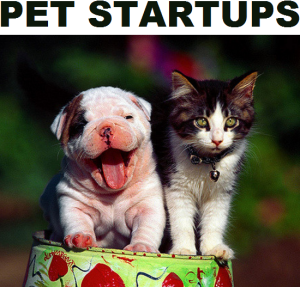 Since its a very interesting market and since I’m a pet lover myself, I did some research to present you 10 promising pet startups to look out for in 2016 and beyond. All of the companies listed below are based in Europe and were founded between 2014 and 2016. BautifulBOX is the first smart game console for dogs that uses all of the dog’s senses. It entertains the dog in a completely autonomous way and allows the owner to accomplish his/her daily errands. Even if it uses all of the dog’s senses, the interaction is built on especially three of them: hearing, sight and smell. Smell is the key feature of BautifulBOX. The buttons will emanate specific smells, which the dog needs to understand in order to get the treat. BautifulBOX is completely programmable via a smartphone app, which also allows you to see your dog via webcam, and to keep game statistics. The founders are planning to do a pre-order campaign in November of this year on Indiegogo. BautifulBOX was founded in 2015 and is based in Cagliari (Italy). Moggie: Founded in 2015, Moggie is a cat care system that helps cat owners understand their four-legged family members in a new way. Moggie is a combination of a smart collar and mobile app which helps to provide better care for your cat. The Moggie collar tracks (for e.g.) your cat’s health characteristics and movement. The Moggie founders are working on improving cat ownership experience across the globe. Moggie is headquartered in Stockholm, Sweden with R&D in Kyiv, Ukraine and Operations in Madrid, Spain. So far, the promising startup seems to have raised below €80K in venture capital. HappyTail: The Stockholm-based startup HappyTail created a mobile app for active and social dogs and dog lovers. By connecting dogs with dog lovers, HappyTail aims to eliminate the dog owners dilemma of reduced freedom and lonely dog walks. HappyTail allows users to share photos and find dog-related places such as shops, vets, dog friendly restaurants. This benefits the dog owner as well as the dog – and that is HappyTail’s main mission: Every dog should be able to live a happy, active and social life! HappyTail was founded in 2014 and was able to secure seed funding of about €132K. FitCat is an innovative app, a device and a community that helps cats, and in the future all pets, to be in top condition. 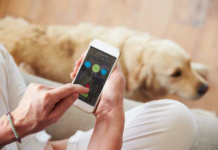 At its heart, simple robust technology: a smart pad and monitor coupled with proprietary algorithms that help owners better understand and engage with their pets. The FitCat solution provides consumers with direct feeding guidance and other benefits, while giving valuable insights to the industry: reducing claims for insurers, providing nutritional analysis for manufacturers and marketing opportunities for retailers. The London-based startup was founded in 2015. The two FitCat founders have a prototype up and running, and will be moving into pilot stage in the next couple of months. PawMetrics offers you real time health monitoring of your pet. PawMetrics wants to use a smart implanted biosensor, similar to the ‘dumb’ microchips already implanted to identify pets, but the startup’s device will include sensors to read key analytes in the blood, heart rate, proteins, hydration, sleep/wake cycles etc that is sent to an app dashboard to promote the optimal health of your pet. Similar to the Health app on iPhones. Real time data can be sent to the vet who will have their own dashboard for their client’s pets for remote monitoring. Their product will include activity tracking, wireless charging/updates and probably GPS. London-based PawMetrics was founded in 2015 and is currently in the development phase. The first prototype will be ready for testing in January of 2017. Swapaw connects dog owners so they can take care of each other’s dogs when they need help. Instead of relying on pet sitters, Swapaw members can use the platform to find other reliable dog owners to look after their dog and return the favour when the same person or another community member need help with their dog. Swapaw members save hundreds of pounds a year on dog boarding. With Swapaw dogs find new human and canine friends and spend less time alone. Using Swapaw means happy pets and peace of mind for owners. The London-based startup was founded in 2015. Heypet: Founded in December of 2014, Heypet connects you with a pet lover in your city who takes care of your pet when you are not around. The Heypet service brings pet owner together with pet-sitters, focused on the pet profile with extended information about their behavior and caring needs. The pet-sitters present themselves with valuable background information and reviews to establish the trust required for pet owners to entrust them. The easy to use platform for pet lovers is currently in beta phase. Heypet (formerly known as Pet2Care) is based in Berlin. WoofAdvisor: A Dublin-based startup which aims to make travelling with your pet as easy and as much fun as possible. With WoofAdvisor you can find, enjoy and share pet friendly accommodation, destinations, services and amenities – all reviewed by trusted community members. WoofAdvisor’s vision is to develop the most pet-centric online community; to build the place where pet lovers can come to find and discover anything they might want to know about travelling with their pets. WoofAdvisor was founded in 2015. Tracy: Tracy is a smart tracking device for dogs. Not only does it track your dogs position but it also tracks the dogs health. It’s the worlds first artificial intelligent accessory that lets you know your dogs health, mood and more. The battery time of the Tracy device lasts up to 6 months on a single charge. Tracy was founded in 2015 and is based in Stockholm. Most recently Tracy did a successful crowdfunding campaign on Indiegogo raising $22,535. Petable is a preventive pet health plan management software for pet owners and vet clinics, specially focusing on all owners that make caring for their pets a priority. Petable brings vets and patients together by providing proactive and relatable information and reminders for owners, and giving vets access to pets’ lives at home. Petable was founded in 2014 and is based in Lisboa. In the end of 2015, Petable was able to secure a seed funding from Portugal Ventures.